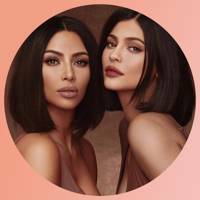 In the midst of GLAMOUR’S Autumn/Winter 2018 cover shoot, our star, Kylie Jenner, sat down with the equally iconic powerhouse – and momager – Kris Jenner to talk all things beauty. KRIS: Remind me, did Kendall chop your bangs off? KYLIE: She said we were going to the playhouse. She took scissors, we got into the playhouse and she just starting cutting the hair off my whole head! KRIS: What were you thinking? 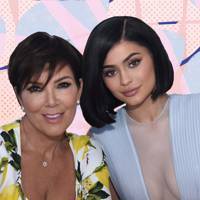 KYLIE: I just listened to her because she was my older sister! KRIS: I just remember you guys (Kylie and Kendall) being very girly girls. You used to love my makeup. I used to have a lucite makeup bag and it was full of makeup. Week after week, I would see right through it because you would take all my makeup. KYLIE: You never got mad though! KRIS: That’s just what you do when you are mom and you have kids who are obsessed with makeup. Look at you now – you are lending me makeup! 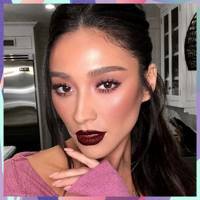 KYLIE: You are so generous with your (makeup) bags! KRIS: That’s because I love you. KRIS: As someone gets older I think it’s important to remind yourself that it’s really great to get up in the morning and look your best, put your best foot forward and then you will feel the best. KYLIE: This summer I was re-doing my house, so I was living with you (Kris) for two months. We weren’t doing anything and I would see her get up, get fully dressed with full makeup, look so glam, whilst I was in sweats. I would say, ‘mom, we aren’t doing anything today!’ But she always looks so glam and put together everyday - that is my goal! KRIS: I think what I learnt from you, especially as I got older, was you showed me how to have a fresher look and you taught me how to do a great lip! I was so stuck in doing the same makeup all the time because I got lazy and you really gave me a whole new fresh perspective on how to do my makeup. KRIS: You guys would always be so excited to go somewhere. I remember first, I focused on your hair - half-up, half down - or the big bows. It was always about the bow. One time we were getting ready and you wanted to make sure your fish were clean and you put some soap in their water. They didn’t make it through the night. You were so cute, I was doing your hair and you were putting soap in the fish bowl. KYLIE: And you didn’t stop me? KRIS: I didn’t see it because I was so into the hair. It was really funny – not funny – as they passed away! KYLIE: I really want to know where this iconic hairstyle came from? Like I know you always had short hair but a pixie cut? It’s not really a pixie cut, it’s the ‘Kris Jenner Cut’ but it's really daring. I feel that I could never do that! KRIS: You would look so cute with a pixie cut. 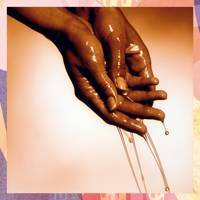 When I was 30-years-old the perm was in – don’t ever do a perm! We thought we were so cool, we got a perm, I thought I was killing it but it was awful. But finally, my hairdresser said "let’s cut your hair", we did and it was like the best thing we ever did! 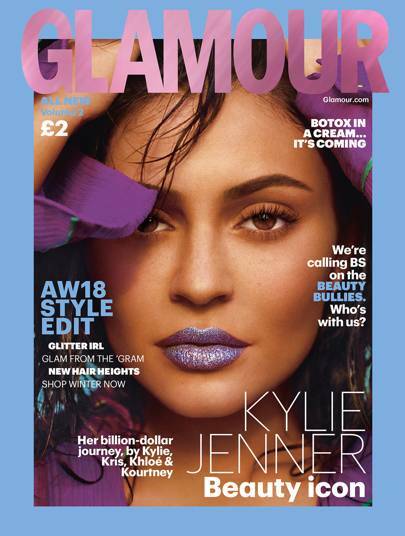 KYLIE: Now, with the internet, we have such a reach and we see so many different bodies and everyone embracing their body. When I went through such a body change recently with pregnancy and saw my body in a whole new way at a super young age, my body is still not the same but loving every stage and appreciating all different types of bodies is something social media has taught me. Not everything you see on the internet is real life. No one has a perfect life or a perfect body or a perfect anything. So remember, when you are following your favourite Instagramer, don’t strive to be that as they aren’t even that. KRIS: It’s a moment in time! KYLIE: On my Instagram, I post my favourite photos of myself or my best photos but there are so many different angles to me. KRIS: I really feel like we need to spread a little more positivity. I worry about Stormi and my grandchildren growing up in a place, with all these social media platforms, where there is the opportunity to be an anonymous bully and just say whatever you want, unfiltered. That’s the downside to it, the upside is that there is so much to learn, and so much to gain. But with that little bit of negativity, you don’t want it to spread or go too far. I hope they can contain that and I hope that people can start being a little more positive and lift each other up rather than tear each other down. 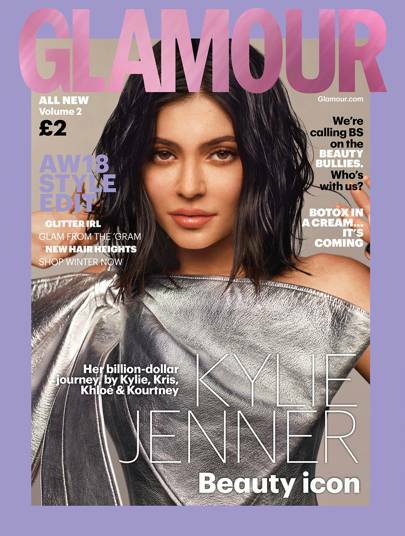 KYLIE: What’s gotten me through negativity is I have really thick skin. I want to teach Stormi to have really thick skin because there are some things you really can’t control. 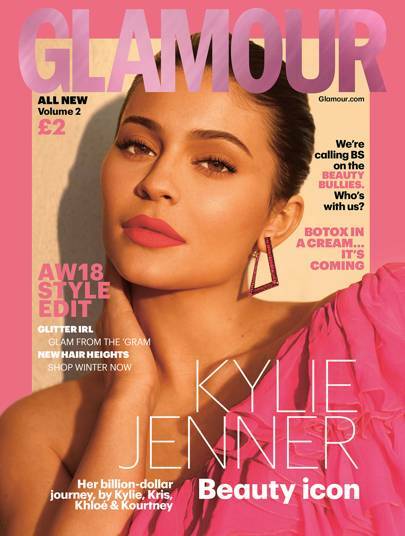 GLAMOUR’S Autumn/Winter 2018 issue starring Kylie Jenner is out on Thursday 13th September.